United Airlines has announced that it will begin daily flights from its hub at Chicago's O'Hare International Airport to the Luis Munoz Marin International Airport in San Juan, Puerto Rico, on Nov. 5, 2013. The flight will depart Chicago at 8:20 a.m., arriving in San Juan at 2:57 p.m. The return flight will depart San Juan at 3:55 p.m. and arrive in Chicago at 7:13 p.m. The route will be operated with Boeing 737-900 aircraft with seating for 20 in United First, 51 in Economy Plus and 96 in Economy. 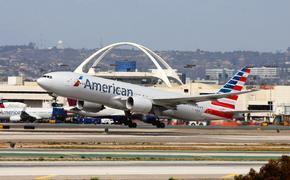 The airline also announced that it plans to add a second daily flight for the holiday season from Dec. 4 – Jan. 5. "San Juan has been one of United's most popular Caribbean destinations for more than two decades. We are very pleased to increase travel options for business travelers, vacationers and families between Chicago and San Juan," said Millie Uriarte, Director, Latin America Onshore & Caribbean Sales, United Airlines. "United is committed to serving the Chicago market and Latin America and the Caribbean. With the addition of Chicago flights, United will offer nonstop service between Puerto Rico and five of our hubs."